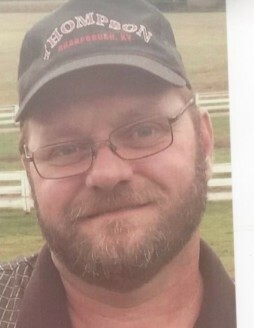 Obituary for Karl Edward "Eddie" Templin | Herald & Stewart Home-Funerals, Inc.
Karl Edward "Eddie" Templin, husband of Denise Diane Dillow Wells, of Jeffersonville, passed away Tuesday, February 5, 2019. He was a 49 year old native of Mt. Sterling, son of the late Arnold and Frieda Cartmill Templin, and truck driver for Thompson Transport. In addition to his wife, he is survived by 5 children, Brandon (Jennifer) Mullins, Joshua (Mary) Cornett, Elizabeth (Wendell) Tackett, Ashley (Casey) Wells, and Amanda (Justin) Phillips, 13 precious grandchildren, 2 sisters, Becky Thomas, and Vanda (James) Fountain, a brother, Phillip (Betty) Templin, several nephews, a niece and special friend, Angela White. In addition to his parents, he was preceded in death by several aunts, uncles and a brother-in-law. His funeral will be 2:00 Thursday at Herald & Stewart Home for Funerals, Pastor Kevin Burk presiding, with burial in Machpelah Cemetery. Visitation is 12-2:00 Thursday.